The Arduous Task of Taking Possession of God's Gifts. A .pdf document 107 pages long. There are a number of footnotes, but more are needed. Relative-Redemption. A .pdf document with the NASB text incorporated throughout. A substantial number of notes have been inserted in all chapters. This document is essentially complete. There are 48 pages with 211 footnotes. Revitalizing a Nation. This .pdf document contains a complete analysis of Nehemiah with the NASB 1977 text incorporated. There are 71 pages with 110 footnotes. Psalms Israel's Worship Hymnal. Each of the 150 Psalms have been analytically outlined and annotated. NASB Text has been incorporated, used by permission. Each Psalm is a "stand-alone" unit. The page-length of each psalm varies, of course. Yahweh Is Salvation. There are a number of notes included in the analysis, but there are many more that could be added. Only in a few places is the text of the NASB included. Yahweh Is Salvation. There are a number of notes included in the analysis, but there are many more that could be added. Only in a few places is the text of the NASB included. This document is formatted as a Corel WordPerfect Document. Judgment and Restoration "Until All Know I am Yahweh." This analysis at present consists of a fairly detailed outline of the book. However, the NASB text has been included only in a couple of instances – in chapters 28 and 47. There are few footnotes at this time scattered throughout the book. The most substantive notes begin in chapter 47, which portrays a life-changing river emanating from a yet-to-be rebuilt Jewish Temple during the Millennium.. The Day of the Lord. This annotated outline is 17 pages long with 15 footnotes. Jonah Mercy Amid Judgment. This Expanded Analytical Outline of Jonah in .pdf format has been annotated. The NASB text has been incorporated throughout the analysis. The document is 28 pages long, and consists of 100 footnotes. Habakkuk Faith Amidst Perplexity. This Expanded Analytical Outline of Habakkuk in .pdf format has been annotated. The NASB text has been incorporated throughout the analysis. The document is 16 pages long, and consists of 27 footnotes. Zephaniah The Day of the LORD: Yahweh's Wrath and Reign over the Nations. This Expanded Analytical Outline of Zephaniah in .pdf format is being annotated. The NASB text has been incorporated throughout the analysis. The document is complete. It consists of 47 pages and 193 footnotes. Israel's Prophetic Future. The analysis contains the text of NASB throughout. Annotations are considerable (76 notes in 49 pages), but not exhaustive. Of particular note are chapters Zech. 12-14, which include Zechariah's extensive prophecies concerning the Day of the LORD. Zech. 12 discusses the end-time battle against Israel by UN troops as well as Israel's abject sorrow at having crucified her Messiah. Zech. 14 includes one of the most extensive predictions of Jesus Christ's return to earth on the Mount of Olives and His decimation of troops gathered against Israel and Himself. The latter part of chapter Zech. 14 predicts the Messiah's reign as King of the Earth and the required submission of Gentile nations to the King if they expect to receive rain during the Millennium. 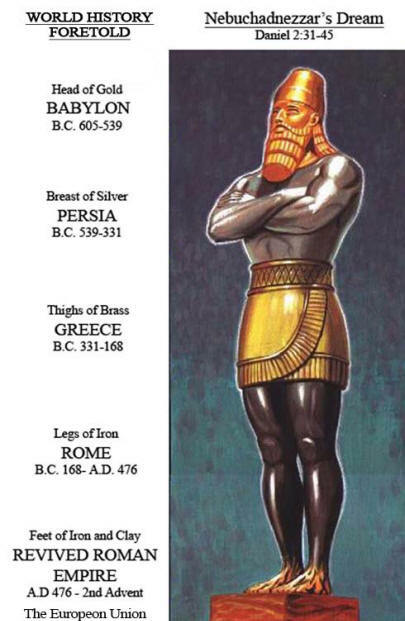 Zechariah Israel's Prophetic Future. 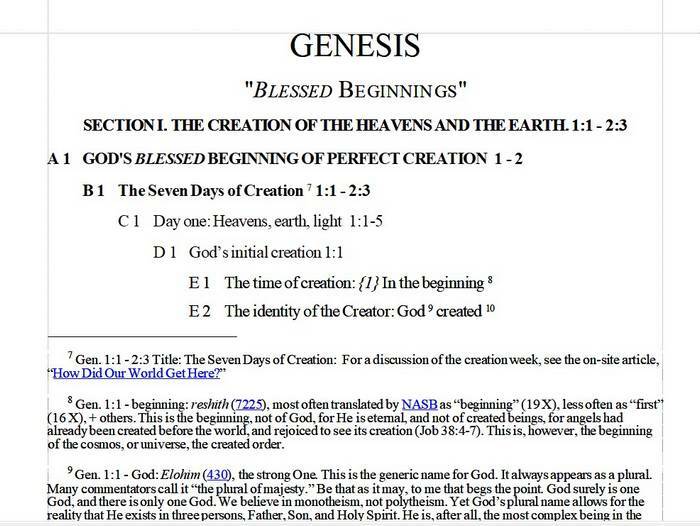 This Annotated Outline containing the text of the NASB is represented here in Corel WordPerfect Format. Clicking on the link will download the file on to the viewer's hard drive. Malachi Israel Against God. The analysis contains the text of NASB throughout. There are a minimal number of footnotes at this time. This is a .pdf document consisting of 18 footnotes in 18 pages. Published for the first time on February 9, 2016. "The King and His Kingdom of the Heavens. Matthew has been analyzed and selectively annotated. The text of the NASB has been incorporated only in selected places. At the present time the analysis is about 52 pages in length with 75 footnotes in .pdf format.. The Service and Sacrifice of the Servant. Mark has been analyzed and the NASB text has been incorporated. However, it is the 1977 edition of the NASB text, not the 1995 edition. The document is presently 129 pages long with 167 footnotes in .pdf format. The Authority of the Son of Man. Luke has been analyzed and the NASB text has been incorporated in chapters 1-8. The document is presently 143 pages long with 231 footnotes in .pdf format. Believing in Jesus Christ, the Son of God. John has been analyzed and the NASB text has been incorporated in all 21 chapters. The document is presently 175 pages long with 179 footnotes in .pdf format. EVANGELISM: The Apostolic Evangelism Concerning Jesus the Messiah of Jewish and Gentile People in the Roman Empire. Expanded Analytical Outline of Acts. As of June, 2013, the entire NASB text of the book of Acts has been incorporated into the analytical outline of the book. Annotation at this point is more extensive in the earlier chapters of Acts than in the latter chapters. The document is presently 249 pages long with 430 footnotes. God's Good News About Righteousness. This .pdf file incorporates a few notes here and there, but more extensively, from Rom. 1-7 and from chapters Rom. 12-16. As work progresses, more notes will be added. From Rom. 1-7 and from chapters Rom. 9-16, the text of the NASB has also been incorporated. This will be standardized throughout the document as time permits. This file also contains Appendix 1, Characters in Rom. 16 and Appendix 2, Why Baptism in Rom. 6 is Spirit Baptism, not Water Baptism. So far it is lacking Appendix 3, The Imprecatory Prayers of David, as is found in the Romans entry in Analytical Outlines of the New Testament. Answers for Today's Problems from Yesterday's Church. This .pdf file incorporates, somewhat loosely, the text of NASB. The text is analyzed in fairly thorough detail through chapter 4. Thereafter, the detail resumes only beginning in chapter 15. Notes exist, but almost exclusively in chapter 15. This is a work in progress. The Law as a Tutor. This .pdf file incorporates the 1977 version of NASB. It contains 48 footnotes in 33 pages. The Wealth and Walk and Walk of the Believer. This is an annotated analytical outline of the letter of Paul to the Ephesians in .pdf format. This file incorporates the text of NASB in all 6 chapters. There are 124 pages of this outline with 446 footnotes. .
Joy in Jail. This .pdf file incorporates the NASB. It contains 30 footnotes in 26 pages. End-Time Encouragement. An Expanded Analytical Outline of 2 Thessalonians in .pdf format. The text of NASB has been incorporated throughout. Thus far, the most extensive annotation appears in chapter 2, but other notes appear elsewhere also. The notes reflect a Pre-Tribulation Rapture in relation to the subsequent "Day of the Lord," which in this context designates the Tribulation period. At present (early October, 2011) there are 39 footnotes covering 18 pages of text. The Superiority of the Person and Work of Christ. This is an annotated, analytical outline of the entire book of Hebrews in a .pdf document. The text of the NASB has been incorporated in all thirteen chapters. Footnotes exist throughout the book. This document is complete. There are 168 pages and 686 footnotes. April 30, 2016. The Superiority of the Person and Work of Christ. This is an annotated, analytical outline of the entire book of Hebrews in WordPerfect format. The text of the NASB has been incorporated in all thirteen chapters. Footnotes exist throughout the book. This document is complete. There are 168 pages and 686 footnotes. December 22, 2016. Applied Christianity. An expanded, annotated, analytical outline with the complete text of NASB incorporated, used by permission. The work on James, in .pdf format, is complete. There are 46 pages and 118 footnotes. Christian Living in Tough Times. This expanded, annotated, analytical outline of 1 Peter is in progress. Fending Off False Teachers Under Judgment. This expanded, annotated, analytical outline of 2 Peter is in progress. Contending for the Faith. An Annotated Outline of Jude Expanded with the NASB text. 12 pages and 23 footnotes.